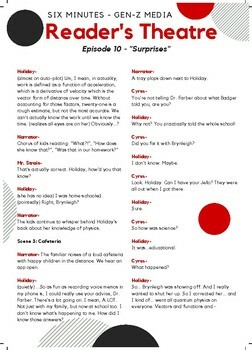 Are you looking for something to do with your students with the podcast Six Minutes? 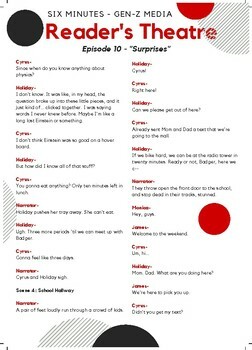 I created this reader's theatre based off of the script from episode ten. The characters are listed at the top for the students to choose from. 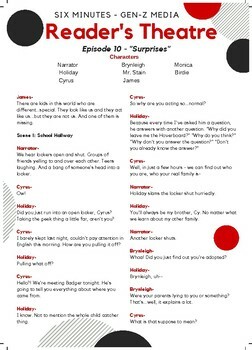 My students are having a BLAST with this podcast and I am trying to find ways to tie it into the Language Arts standards. I hope your students enjoy this as much as mine did. Enjoy!